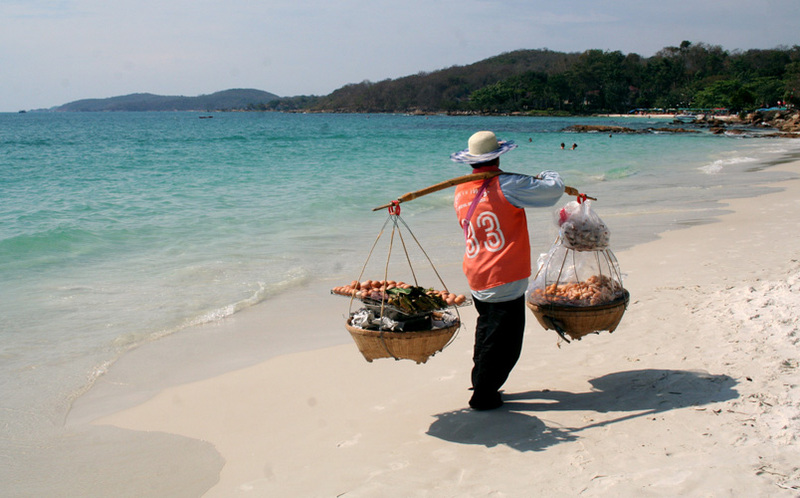 Located just a few hours east of Bangkok, Ko Samet is one of the easiest getaways from the Thai capital. There, visitors can stretch out on powdery white sand, and enjoy the sun and the waves. 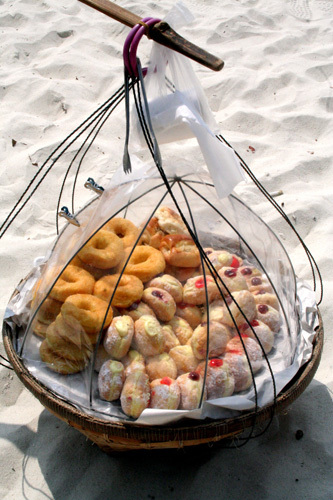 For visitors too chilled out to make their way to the nearest beachfront restaurant, there is an alternative: roving vendors stroll up and down the beaches, carrying baskets of food over their shoulders. They mainly sell Thai dishes, like papaya salad, grilled lemongrass chicken, and spicy cold noodles. But for visitors with a more Western appetite, they come prepared: with a range of jelly-filled donuts and sugary pastries.